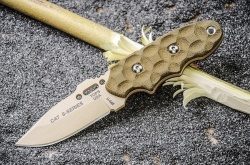 The TOPS Knives C.A.T. 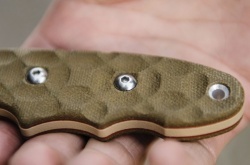 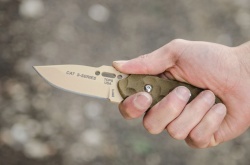 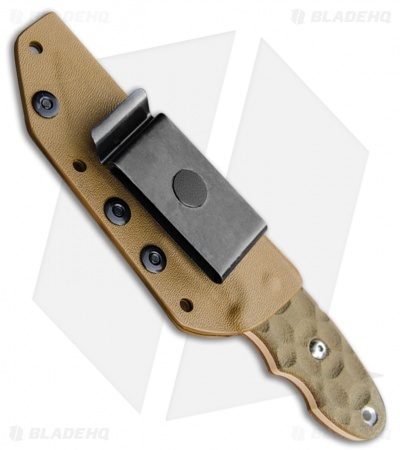 (Covert Anti-Terrorism) fixed blade knife with a tan drop point blade and tan micarta scales is a small easily concealable knife. Made of 1095 high carbon tool steel, the C.A.T. 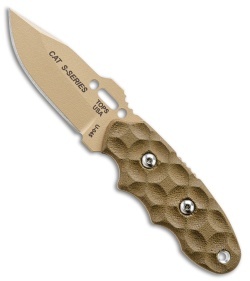 has a drop point blade with precise point that excels at piercing. 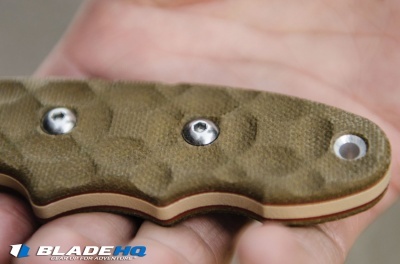 Textured tan micarta handles feature a milled pattern for a distinct look. Grooved handles are comfortable in hand while spine and thumb ramp jimping provide a secure grip. 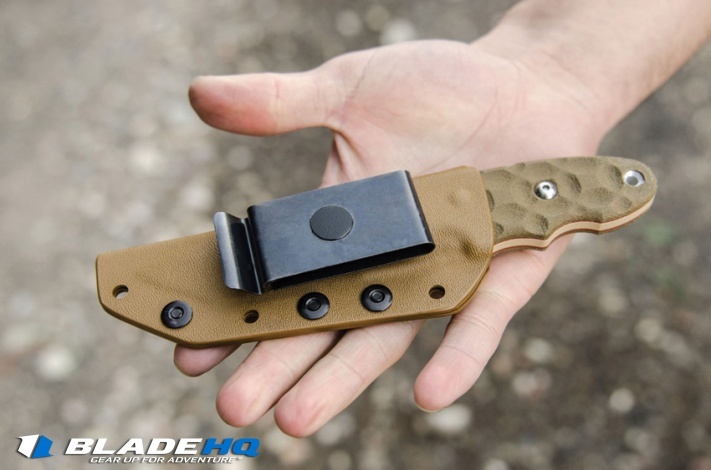 The tan kydex belt sheath allows for different carry options.